1. Always lock your bike, especially at home (even in the garage or shed). 2. Lock to a fixed, immovable object like a parking meter or permanent bike rack. Be careful not to lock to items that can be easily cut, broken, or removed. Be careful that your bike cannot be lifted over the top of the object to which it is locked. 3. Lock in a visible and well-lit area. 4. Lock in a location where there are other bikes. The chances are better that there will be a bike with a less secure lock than yours. Thieves will usually go for the easiest target. 5. When using a U-lock, position your bike frame and wheels so that you fill or take up as much of the open space within the U-portion of the lock as possible. The tighter the lock up, the harder it is for a thief to use tools to attack your lock. 6. Always position a U-lock so that the keyway is facing down towards the ground. Don't position the lock close to the ground. This makes it more difficult for a thief to attack it. 7. Always secure your components and accessories, especially quick-release components, with a secondary cable lock. 8. Don't lock your bike to itself (e.g. the front wheel locked to frame). It can be easily lifted and carried away. 9. Don't lock in the same location all the time. A thief may notice the pattern and target your bike. 10. Don't lock to anything posted illegal. Check with area law enforcement agencies for local bike parking regulations. 11. Always check your lock before leaving your bike to be sure you have secured it properly. 12. 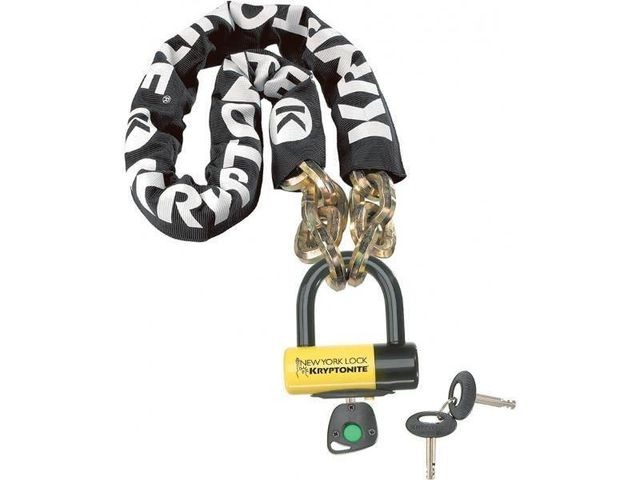 For the greatest theft deterrence, use two types of lock, such as a U-lock and a locking cable. The longer it takes a thief to get through your bike security, the less likely your bike will be stolen.